Hebrew file names are displayed as gibberish in Rhythmbox, although they are displayed correctly in Nautilus. You can see in the attached screenshot that english files are displayed correctly, and 3 marked hebrew files are not. 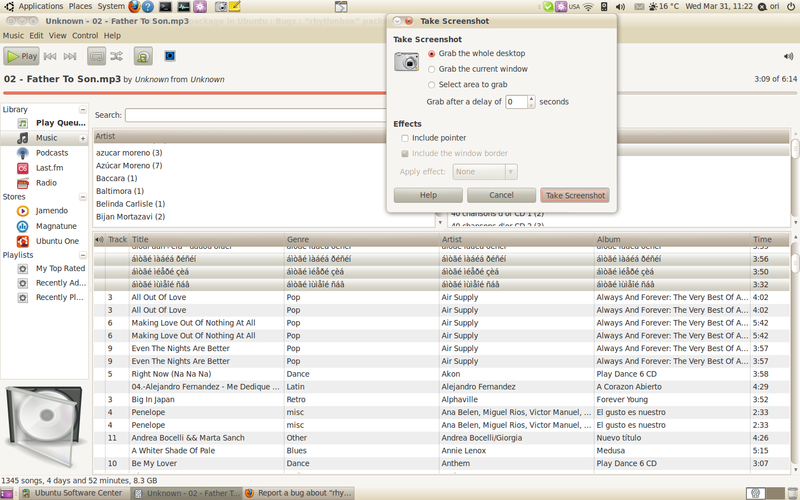 Not sure if this happened in earlier versions of Rhythmbox or not, pretty new to Ubuntu. This bug is an upstream one and it would be quite helpful if somebody experiencing it could send the bug the to the people writing the software. You can learn more about how to do this for various upstreams at https://wiki.ubuntu.com/Bugs/Upstream/GNOME. Thanks in advance! Any news about this , did you open the bug upstream? may you tell us the bug number there? thanks.